Minimalist browser for online music services. Is there a better alternative to omPlayer? Is omPlayer really the best app in Music category? Will omPlayer work good on macOS 10.13.4? 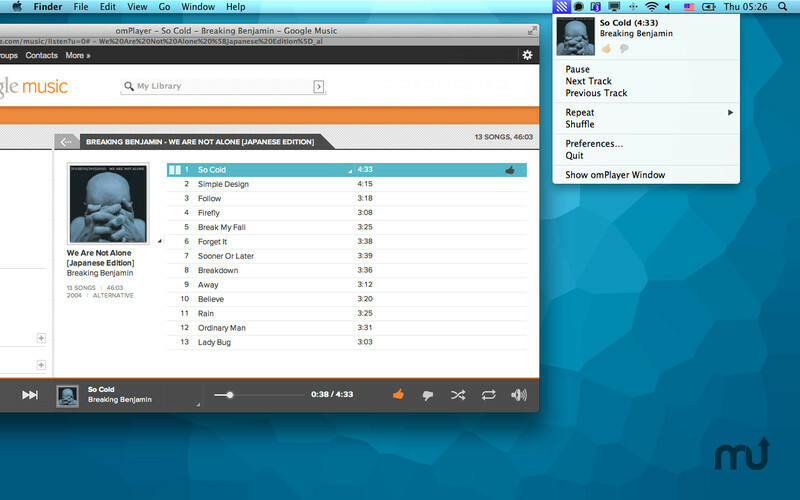 omPlayer is a special minimalistic Web browser to comfortably listen to music from online music services. For supported services it lets you control playback from menu bar or with global shortcuts, supports Growl notifications and Last.fm scrobbling. For other services additional functions will not be available but you will still enjoy its unobtrusive behavior. omPlayer needs a review. Be the first to review this app and get the discussion started! omPlayer needs a rating. Be the first to rate this app and get the discussion started!